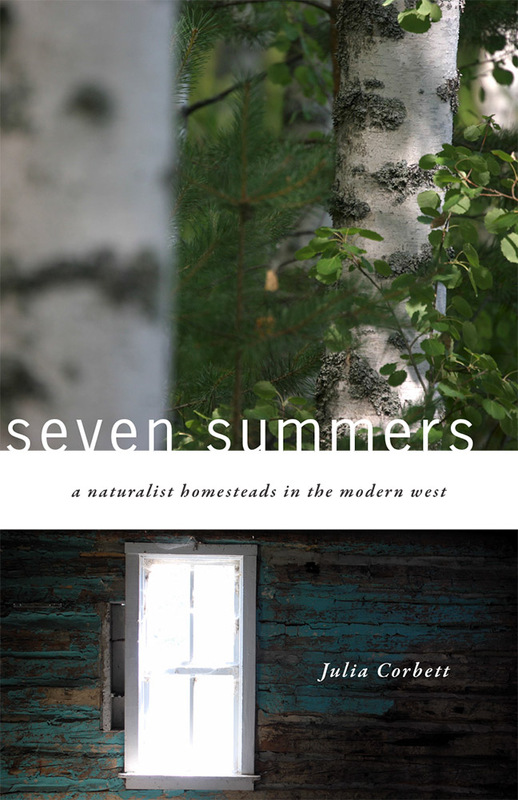 Seven Summers is the story of a naturalist-turned-professor who flees city life each summer with her pets and power tools to pursue her lifelong dream—building a cabin in the Wyoming woods. With little money and even less experience, she learns that creating a sanctuary on her mountain meadow requires ample doses of faith, patience, and luck. This mighty task also involves a gradual and sometimes painful acquisition of flexibility and humility in the midst of great determination and naive enthusiasm. For Corbett, homesteading is not about wresting a living from the land, but respecting and immersing herself in it—observing owls and cranes, witnessing seasons and cycles, and learning the rhythms of wind and weather in her woods and meadow. The process changes her in unexpected ways, just as it did for women homesteaders more than a century ago. The more she works with wood, the more she understands the importance of “going with the grain” in wood as well as in life. She must learn to let go, to move through loss and grief, to trust her voice, and to balance independence and dependence. Corbett also gains a better understanding of her fellow Wyomingites, a mix of ranchers, builders, gas workers, and developers, who share a love of place but often hold decidedly different values. This beautifully written memoir will appeal to readers who appreciate stories of the western landscape, independent women, or the appreciation of the natural world. Julia Corbett, a professor of communication at the University of Utah, writes both academic research and creative nonfiction about human relationships with the natural world. A former reporter, park ranger, naturalist, and press secretary, she authored one of the first texts in environmental communication, Communicating Nature: How We Create and Understand Environmental Messages. Her environmental nonfiction essays have been published in Orion, High Country News, and OnEarth magazines. She continues to summer at her cabin. 8. How Hard Can It Be? 13. "Are You an Environmentalist?"